What’s the first thing a customer does when there’s an issue with his ecommerce order? He makes a call to your contact center. This interaction is often the first “live” experience your customer has with your ecommerce brand. Getting this dialogue right typically leads to a happy, repeat customer. Getting it wrong could land you a lost customer and retelling of the situation that could go viral. 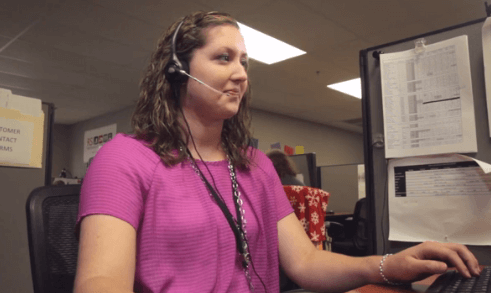 How do you provide stellar customer service in your contact center? Listen more. Talk less. Chavez offers a straightforward three-step plan to really uncovering customer issues and delivering a resolution that works for the customer. 1. Let the customer do the talking. Want to understand what the customer is most concerned about? Listen more. “It’s easy to jump to conclusions, but we shouldn’t,” explains Chavez. “We guide our agents to hold off on providing solutions until hearing everything the customer has said,” Chavez says. You may assume the first thing the customer says is the only problem , but it may not be the issue that’s concerning him most. 2. Apologize, and then take action. Whether it’s a damaged package or the wrong merchandise was delivered, a heartfelt apology goes a long way to improving this situation. This demonstration of empathy shows your ecommerce brand cares about him as a person. Repeat his concerns and then take action on the issue that is concerning the customer . Give the customer as much information so they know your ecommerce brand is actively resolving the issue. 3. Ask one more question. Is there anything else I can help you with? Then stop talking and listen for more.